Mullinahone Parish as we know it came into being in 1826. Before the parishes of Mullinahone and Drangan were the one unit. Way back the parish of Mullinahone consisted of three medieval parishes Modeshill, Inch St, Ciaran and Kilvemnon and part of the parish Lismolin. An old document to hand lists the town land which lists modes hill . This information was supplied by William Flanagan P.P., Mullinahone, Rev. James Manseragh and Pat Phelan. The towns land were Affoley (Ath Bhuaile) or a secondary open milking place or field, Ballyvoneen (Baile Mhoinn) the town (land) of the little bog, Clashbeg (Clais Bheag) the little trench pit or furrow. 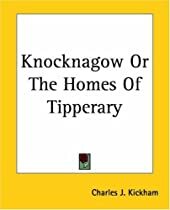 Other townslands were Graigue(Graig) a village james town (Baile Sheamais) Kyladahirr (Coil a Duithir) the wood of the gloom or blackness, kyleaglone (Couill a Ghleanna) wood of the valley or glen. There was also Modeshal Ayre and Modeshal Sankey. Both Ayre and Sankey were landlords. Up to around 1880, Modeshill would have had the status of a village around the cross.